It’s here! The trailer for The Chilling Adventures of Sabrina has dropped, and it is… actually way creepier than expected. Rather than carrying on the slapstick sitcom humour of the Melissa Joan Hart-fronted series avec Salem the master one-liner cat, the TV series honours the original comic books, which were much darker. The one-minute teaser clip looks more American Horror Story: Coven or Salem in occult vibe and aesthetic – a mortuary, a coven of witches, terrifying demons, and some sacrifice and spells thrown in. 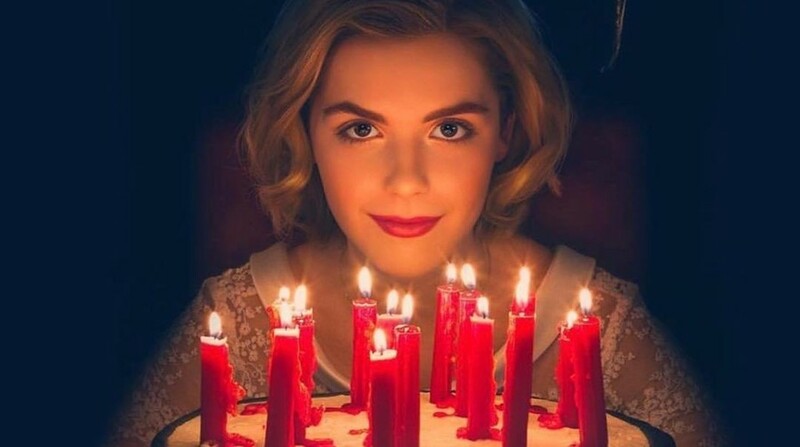 Kiernan Shipka of Mad Men stars as Sabrina, and the first clip shows her celebrating her (very sinister-looking) 16th birthday. Sabrina’s sweet 16 is the time she must decide whether she will become a full witch, or stay mortal with her boyfriend Harvey (Ross Lynch). But then her teacher Mary Wardell becomes possessed by the ‘Devil’s handmaiden’ and becomes Madame Satan, out to totally annihilate Sabrina. Lucy Davis and Miranda Otto also star as her aunts, Hilda and Zelda Spellman. The show, which works in the same universe as Twin Peaks-esque teen show Riverdale, has already been renewed for a second season.